PLEASE PREVENT THE NEED FOR RESCUE! Sharing the spirit of giving with Akita-SOS is easy, thanks to AmazonSmile! For every purchase you make, Amazon will donate a portion of their proceeds to Akita-SOS. Support our senior Akitas by starting your shopping at smile.amazon.com! ARWNY's AKITA-S.O.S. -- THE TIME IS NOW!! Take a look and become an ARWNY Akita-S.O.S. supporter! We welcome all! Click our banner to enter the site!! Read about the Akita-S.O.S. national program by clicking the logo above. If you would like to support the Save Our Seniors program, don't be shy!! Every dollar helps and will go towards helping a senior Akita stay in its home. Please, make a donation. ARWNY has joined the social networking venue and can be found on Facebook. Akita Rescue of Western NY, Inc.
ARWNY is a small group of volunteers dedicated to Akitas. We have transitioned from hands-on rescue work, which we had done since the 1970s in a variety of ways, to our new Akita-SOS program. Akita-SOS is a national program dedicated to helping senior Akitas remain in their home. We are the first national Akita senior surrender prevention program. We are here to offer financial assistance so the senior Akita can remain in their loving home and still can assist with adoption advice, health education, temperament information, and training guidelines for your Akita. If you own an Akita already, then the more help we can offer, the less chance your Akita will end up in rescue. ARWNY does not want YOUR Akita to end up a statistic! We have read the statistics about abandoned dogs and agree 110% that in nearly all cases the dogs are not to blame! What are those statistics? About half of all dogs surrendered to shelters (42.8%) are not neutered. There's a certain amount of aggression linked to hormones in intact dogs. It's not the dogs' fault; they were programmed by nature to focus their entire existence on becoming alpha because the alpha dogs breed. All rescued Akitas should be spayed or neutered because they make much better companions. Neutering has a calming effect that allows the dog to focus on its role within a human pack. The majority of dogs handed over to shelters were between the ages of 5 months to 3 years. By 5 months old the dog should be trained to walk on a lead, sit, stay, and come when called. It should be housebroken. Certainly by the age of 3, the dog should be spayed or neutered. The statistics don't say for sure but we bet those dogs were not trained and not sterilized. Statistics claim 33% of all dogs turned into shelters had not been to a veterinarian. Again, all dogs should be vet checked and brought up to date on health checks. Dogs acquired from friends were relinquished in higher numbers (31.4%) than any other source. Breeding your dog because you have "great homes" waiting for all the puppies is NOT a reason to breed. We hate to say "we told you so," but the puppies you gave away to your neighbors who admired your lovely Akita are probably counted in these statistics. We can and do help Akitas but no one can save them all, there are too many. ALL ARE WELCOME AND GRATEFULLY ACCEPTED!! NEW PROGRAM WORTH A LOOK!!!! the largest library of content on the web related to dog food and general dog nutrition. 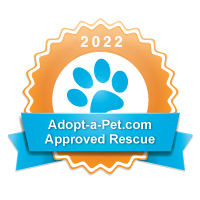 Take a look at the site --> http://www.i-love-dogs.com/ or click the logo above!! Lots of great info including specific info for seniors!